ideas could go on forever! Special notes: I worked in continuous rounds. 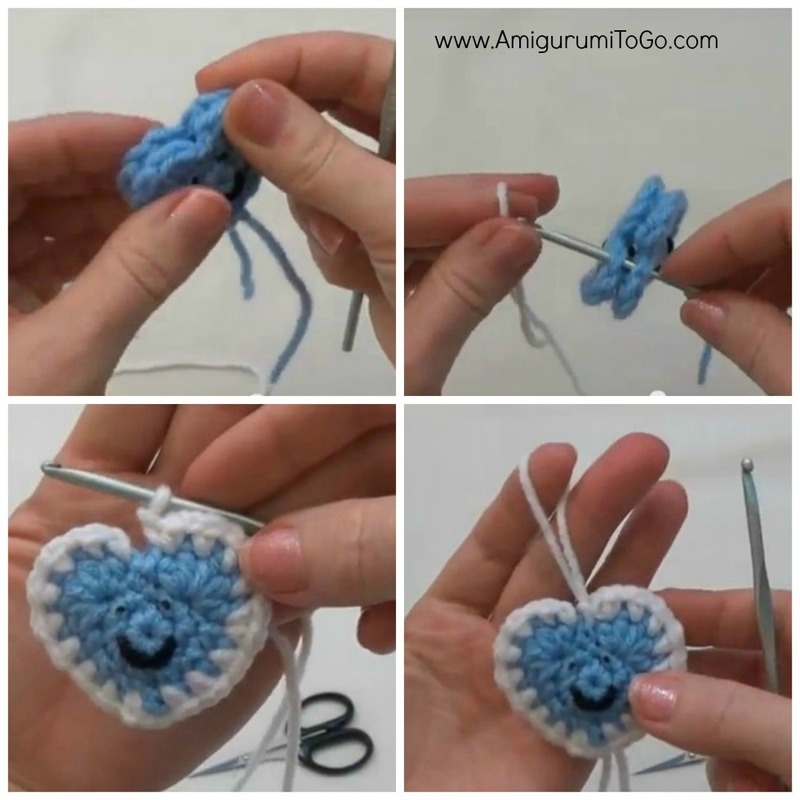 You can work this pattern with any weight yarn and the hook size can vary depending on the yarn you choose. 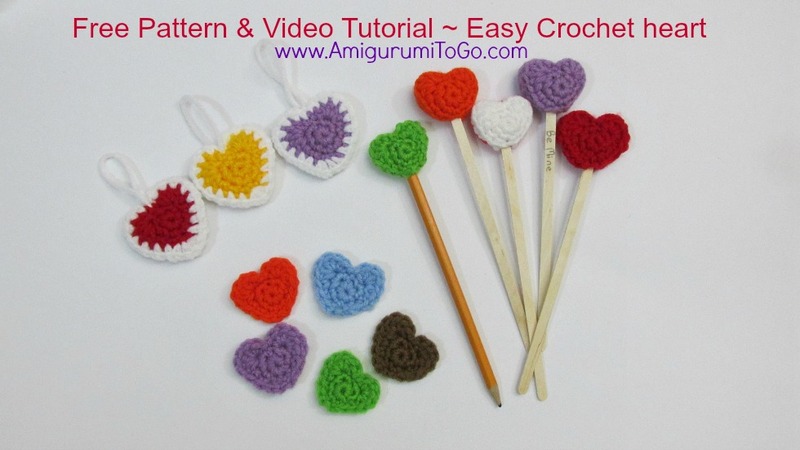 The hearts you see in the photos here and the hearts in the video tutorial were made with worsted weight yarn, medium # 4 and a couple different sized hooks from a 3.75mm to a 5.00mm. Have any questions or if you come across a mistake in the pattern please leave a message in the comment section below. 3) 1sc in the next 2st then 5hdc in next st, sl st next 2st then 5hdc in next st, 1sc in next 3st, ch1 and sl st next st. f/o and leave a long yarn tail for sewing. You can add faces too! I show how to add in the yarny mouth in the video tutorial and I dotted the eyes in with paint. 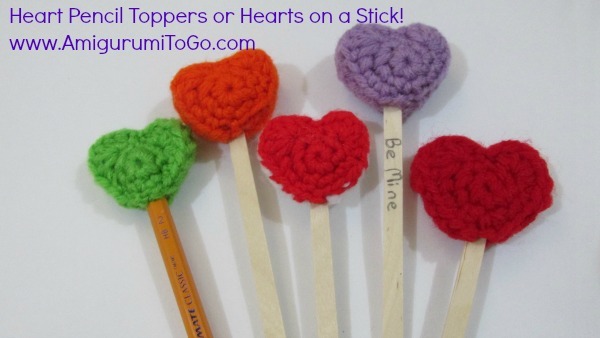 To crochet around the edge. 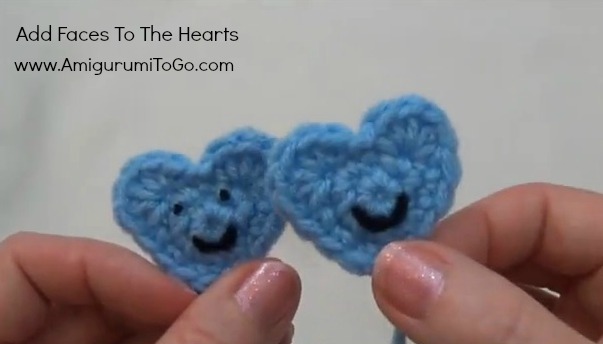 Place 2 hearts together, wrong sides facing each other and sew or whip stitch the back loops together. Start near the bottom and work around leaving a gap for stuffing. Use a stuffing stick to get the stuffing into the bumps of the heart. Finish sewing then knot off and hide yarn tail inside heart. Add a loop for hanging the puffy hearts if desired. And now you can just your imagination run away! 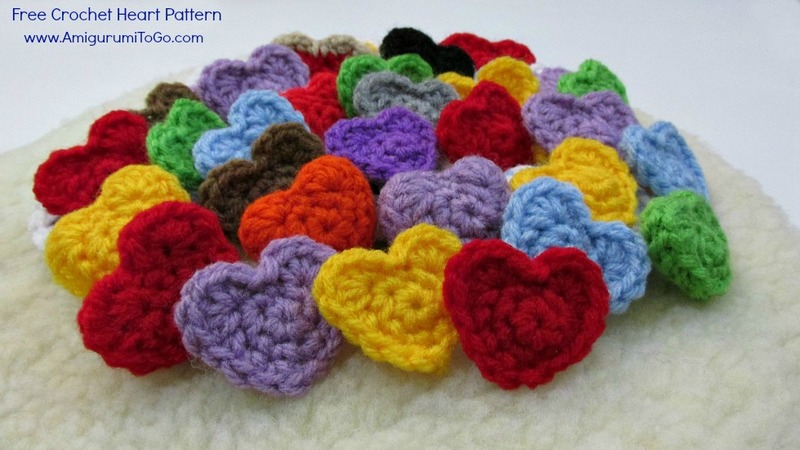 I hope you enjoy this simple heart pattern and if you make a heart why not post pictures on my facebook page, Amigurumi Freely, I'd love to see them! I just made a puffy one stuffed with catnip instead my Frank Sinatra LOVES it! I have made several of these little hearts. They can be filled with almost anything. I used cedar chips inside for putting in my boots while they dry. I used sage and lemon peel inside a gym bag. I used plain sage in my handbag. I made some for my great niece who is pregnant and having trouble sleeping filled with lavender. She says they are helping a lot. I am going to make some with mint in them for my dresser drawers. Will smell good while keeping the clothes fresh. I'm going to sew a heart onto a dress-me-bunny for my great-niece. You know, like a Raggedy Ann. I'm thinking maybe the overalls could be modified into bloomers, too... we'll see. Thanks!!! Mary P.